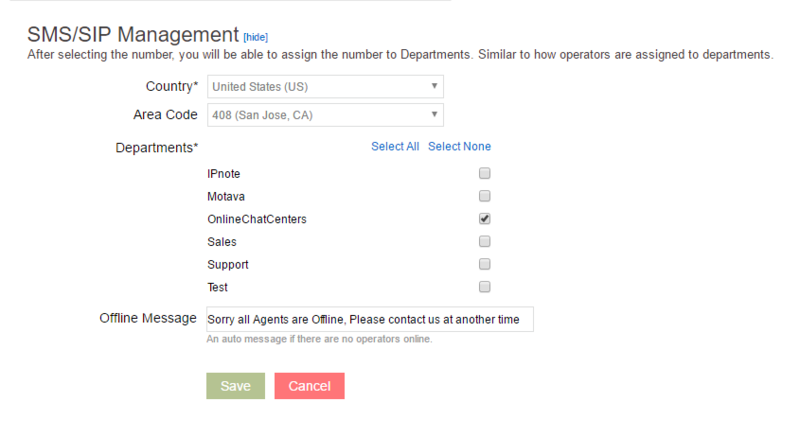 OCC is pleased to announce SMS / Text Messaging live chat support! Now, by placing the generated HTML snippet to your site, mobile browsers will see that they can open a chat request via SMS/Text Messaging. That’s right, no pinch and zoom to show text areas and boxes. Your potential or current customer/visitor can now chat within you OCC Chat Agent from their Mobile Phone SMS app. Please go to your Account Dashboard and proceed to the apps section: Setup > Apps > SMS/SIP Management. You will need to first purchase a number. Most US numbers are $24/year, but this may vary depending on where you live. Text messages are purchased in build of 1,000 messages for$20. After you purchase your number, in this menu you can view your number, how many messages you have remaining, purchase more messages, auto message refill reminder, generate html code to place on your site, edit and delete the number. Generate a code will generate a snippet of HTML code that you can place on your site. You will be able to write a line of text that will appear only on mobile browsers. If visitors click on the text it will automatically open their default messaging app. 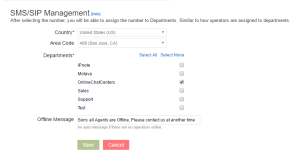 In the settings you can choose which departments, you wish to be associated with the number and have a message sent out to the phone numbers, if there are no operators online. We know that new features or systems can get confusing or challenging especially with your busy schedules and responsibilities, and that’s why we at OCC are always ready to assist you if you need help in getting this up and running. See you online! This entry was posted on Wednesday, October 12th, 2016 at 2:01 pm	and is filed under Uncategorized. You can follow any responses to this entry through the RSS 2.0 feed. Both comments and pings are currently closed.